I was curled up on my couch last weekend, trying to recharge from a tiring week. I pulled out my phone and started scrolling through my Instagram feed. 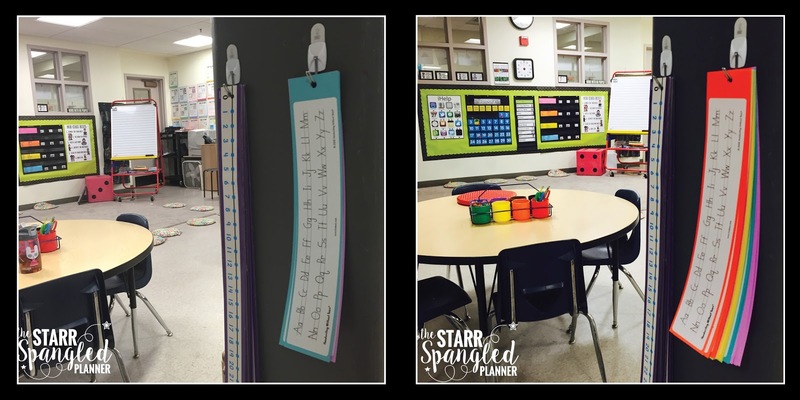 As always, I began drooling over the color-cooridnated bins all neatly filled and labeled, the immaculate classroom libraries, the organized shelves of student supplies, the beautifully handwritten anchor charts… the list goes on. However, with each swipe up I could feel my chest begin to tighten and my heart begin to sink. An overwhelming feeling started to creep over me. It was a feeling somewhere between anxiety, inadequacy, and self-doubt. Then, that dreaded voice forced its way from the back of my mind (where I desperately try to keep it buried) to the front. There was no holding it back. Why doesn’t my classroom look like that? Why are these teachers so much more efficient and productive that I am? 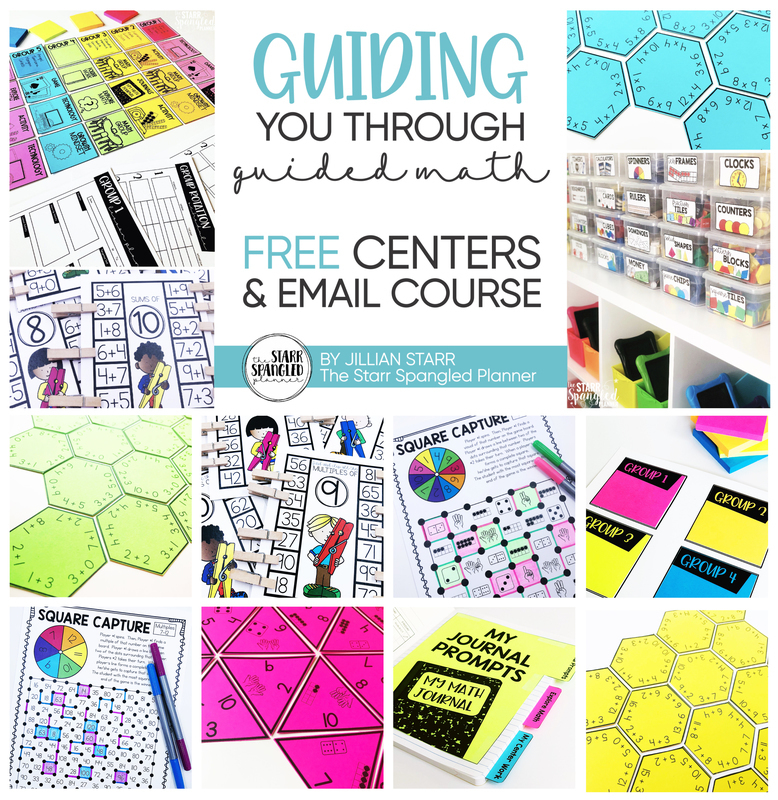 How do they fit so many things into their day, and still have time to create such amazing resources? 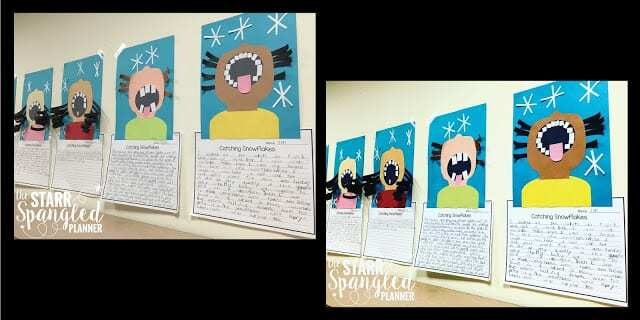 Why does their student work look so different from mine? Why am I not like them? What am I doing wrong? I know that I’m not the only one who gets the Pinterest or Instagram blues. It’s in our nature as teachers to want to provide the very best for our students. We are constantly looking to improve our craft, and the world of social media has given us access to a wealth of great ideas to do just that! However, it has also proven a double-edged sword. While we now have a million ideas at our fingertips, we also now have a million ways to compare ourselves to others.When I see the beautiful photo collages of art projects, the adorable DIY gifts, or the perfectly organized displays of manipulative, the feelings of inadequacy can overwhelm me, especially after a hard week. 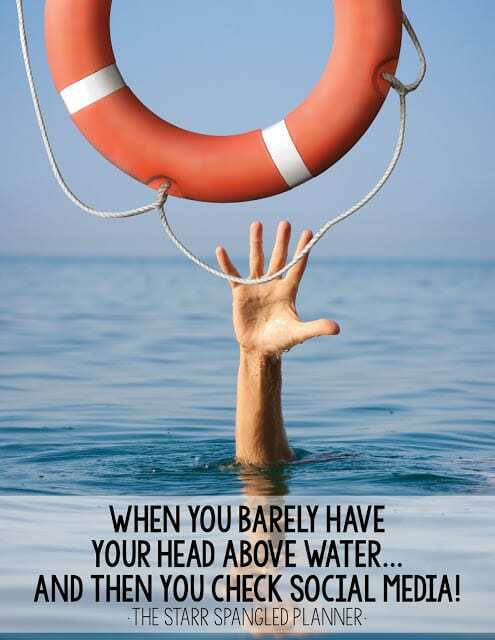 Sometimes it’s as if I am just barely keeping my head above water as it is, and then I let social media take away my life preserver. It stinks! Now, given my tendency to go the logical route over the emotional (sometimes a blessings, often a curse!) I often resolve these feelings of self-doubt by taking a look at my social media feed with an analytical lens. I can do this, because often I am on the other side of things… I am the one posting the photos of art projects, organized bins, anchor charts and all things pinteresty (not sure if that’s a word, but who cares!) I know what goes on behind the camera to get those Pinterest-worthy photos. I know what it looks like outside of that perfectly cropped shot. I use this knowledge to remind myself that real life is not Pinterest! Real life is not highlights on Instagram! Real life is unfiltered! While talking myself out of my social media blues on the couch, my mind started to wander to all of the teachers out there that don’t have the luxury of this perspective. Therefore, I wanted to take a few moments to help pull back the curtain of social media, and let you in on what happens behind the camera. I need to move my student’s water bottle from the table, it blocks the supply caddy. I need to move my laptop case from the side of the large dice because it looks out of place. I need to flip the dice because my student drew all over the #3 side today, and even if you can’t see it in the photo, I know it’s there! I’m trying to show how I use 3AM hooks to organize some of my student reference tools, but the blue isn’t bright enough… it gets lost. I need to put the brightest colors on top! Crazy right? Well, it makes a difference in what you focus on in the photo, and eliminates the messy pile in the corner. Does it portray the reality of my classroom? Not really… but that wasn’t the point of the photo. Think of it like any magazine cover or fashion advertisement. You know that what you are seeing has been photoshopped. The models have all been airbrushed, their curves embellished, their waistlines and thighs thinned, and their cheekbones more defined. The photo above lets you see what just a small change in color saturation can do for a photo! Imagine what happens when you play with more than one photoshop option! A photo can’t tell you the kind of funding that classroom receives. It does not tell you if that school has a generous PTO, or if their district has had to close 40% of their schools due to lack of funding. It doesn’t tell you if individual classrooms are given an art stipend, or if teachers have to purchase their own pencils. It doesn’t tell you if that beautiful library was pre-purchased for that classroom, or if those books were brought together by countless trips to yardsales, scholastic points, and online donations. You just don’t know! My point? 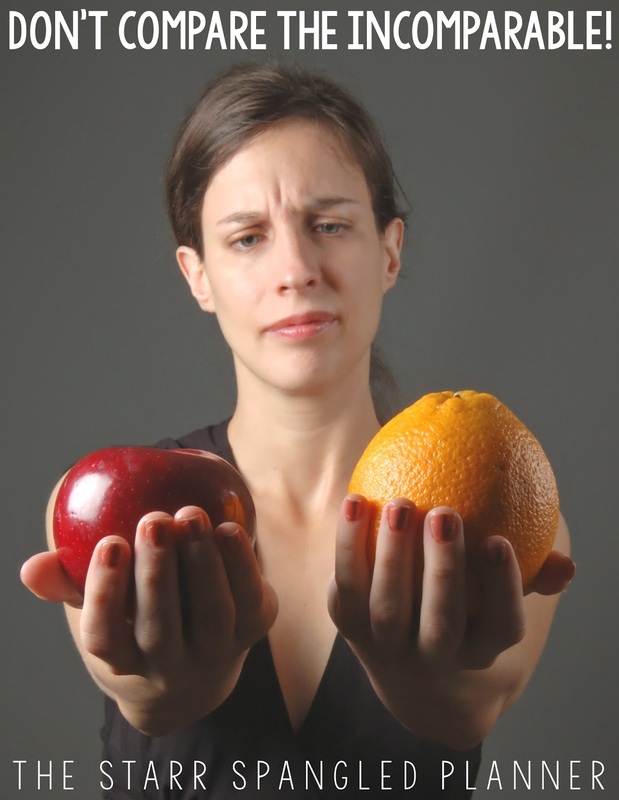 You may be trying to compare apples to oranges, so as hard as it is, try to avoid it! 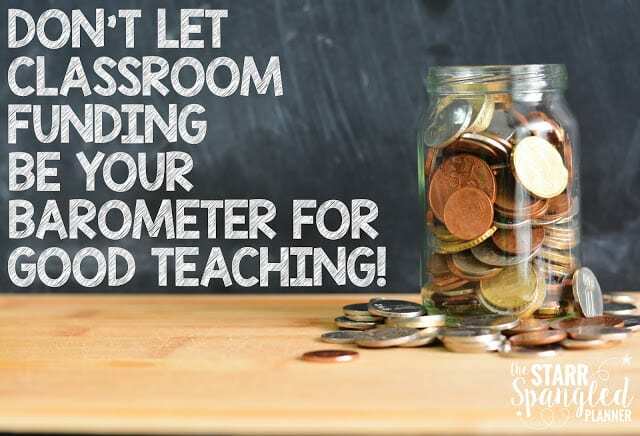 Do not let classroom funding be your barometer for good teaching! The amount of students in you class can greatly influence how you teach! It’s just a simple fact that prepping for 28 students is different than prepping for 12. It doesn’t mean that one teacher is better than another, it just means that they will have different needs and focuses. If you are teaching the class of 28, it means that you are prepping for 16 more parent-teacher conferences, answering 16 more parent emails/phone calls, assessing 16 more students in all academic areas, supplies for 16 more students need to be funded, not to mention the daily centers that you need to prep for each student. Your classroom management style will likely differ as well! Depending on your class size, your time will be spent differently. Again, you cannot compare apples and oranges… you’ll drive yourself crazy! Each student brings their own strengths to the classroom, and as teachers, we use those strengths to help our students grow. We work tirelessly to modify and extend our lessons, differentiate our centers, and provide accommodations to help all of our students meet high expectations. However, it is no secret that your student population can impact how much time you spend doing this.Just like you cannot determine class size or source of funding from a photo, you also can’t know the individual students and their needs. You do not know how many students in that classroom have IEPs. You do not know how many students are English Language Learners, and what levels of proficiency they have reached. You do not know the student’s socio-economic status, past experiences, or the stability of their home lives, and how any of those impacts their availability for learning. These details can significantly impact how much time you spend previewing, differentiating, modifying, translating, supporting, and reviewing. Just remember: You only have so much time. 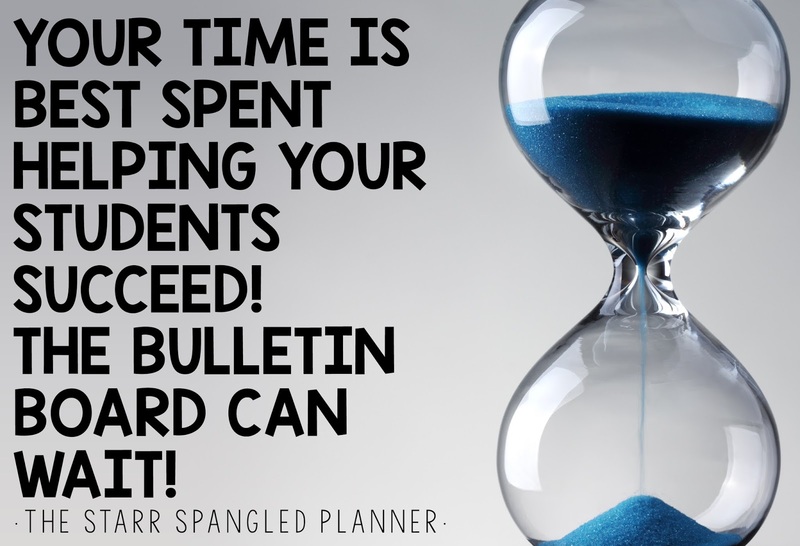 Your students are your priority! If you use all your hours making sure they can access the curriculum and see themselves as successful learners, you have done an AMAZING job! Don’t worry about the unfinished bulletin board in the hallway! 6. ARE THEY IN THE CLASSROOM, AND IN WHAT CAPACITY? Another piece that many don’t consider is that some teacher bloggers are currently teaching part-time or are no longer in the classroom. Many have made the move to full time presenters, resource creators, and bloggers. Others have made the choice to stay home and raise their children, but stay connected to the classroom through blogging and creating resources for the classroom. Each of us has our own journey ahead, and you cannot compare your journey to someone else’s. How often does your classroom actually look clean and photo-worthy? Mine might be less than 10% of the time, but for a good reason: LEARNING IS MESSY! As much as I love the organized chaos of teaching, I don’t typically document it.I wanted to make an image to go along with this idea, but when I searched stock images for “MESSY”, nothing remotely messy came up! Seriously! I couldn’t find ONE! That, in and of itself, says A LOT about what we seek to portray.While I love the amazingly clever and creative ideas that I now have instant access to, I feel like social media has also started to take a toll on us as teachers. I worry that we are all striving towards something that we cannot obtain, because it isn’t real! I would like to propose that we start a new trend. 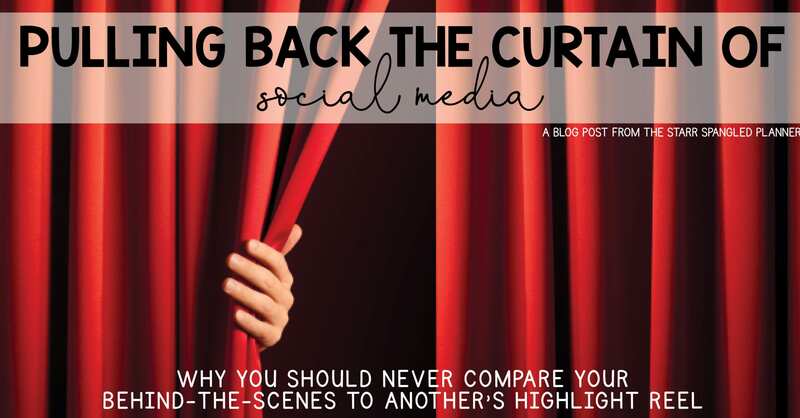 I challenge you to help pull back the curtain of teaching! We can help support one another by shedding light on the realities of teaching while also sharing great ideas! I want to encourage our teacher community to start posting unfiltered, uncropped, unedited photos of their classrooms, their projects, and the beauty of messy learning. If you would like to join in, use the hashtag #unfilteredclassroom in your posts so that we can easily search these images. 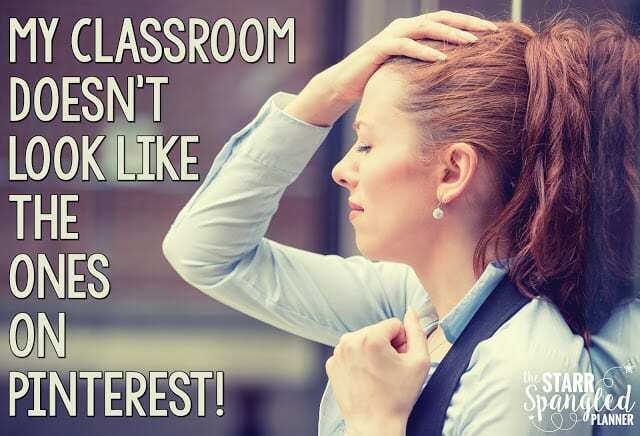 I hope that providing a real look into the world of teaching will help provide a better balance for us all, and remind us that we don’t have to create a pinterest-worthy photo to be an amazing teacher! Thank you for stopping by! Now go be amazing! Oh my sweet friend you nailed it!!! I have had those days as I scroll, why can't I? what am I doing wrong? If only… I am going to be honest, I have cropped and changed filters! I love the hashtag and hope it catches on. Messy is soooo good!!! You nailed it. Can't wait to see some beautifully messy and wonderful classrooms scrolling through my feed this week! 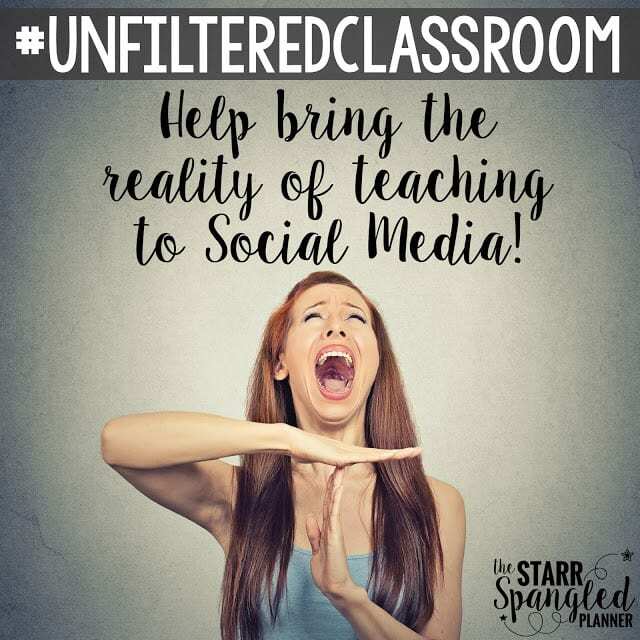 Oh my, can't wait to share my unfiltered classroom!!! Such a great post. So truthful and something that definitely needed to be brought to light! Thank you so much! Life. Is. Messy. You spoke what I think so many times when I feel inadequate about what I'm doing in the classroom. And I do have the perspective coming at it from the other side, as well! #unfilteredclassroom is reality! This is truly the best thing I have read in awhile and exactly what I needed on a Sunday night. Thank you, thank you for reminding us that it is okay to be unfiltered! LOVE LOVE LOVE THIS POST! I am tired from prepping all night to write more, but this is something I really needed to read! Love this honest and real post! I feel the exact same way, but have never had the courage to speak out about it! I don't filter any of my photos, nor do I own a decent camera, you get the real thing, which is why I've always thought that I don't get near the likes that many do with my same following. Thanks for reminding me that I'm not the only one out there that feels this way!!! This resonated with me so much and can't tell you of how much appreciation I have for this. Thanks so much! Great post, Jillian! It's so hard to remember not to compare apples and oranges, but I think we all needed a reminder! This post is perfection! Thanks for the reminder that we all need! Thank you for sharing. I was giggling because I just spent a good hour taking "photos in action" and brightening them up. Thanks for the reminder! Such a powerful message. Thank you!!! Great post! I can't wait to search the hashtag. OMG!!! I love this post, it is so true!!! There'll be a lot of my #unfilteredclassroom coming your way!